CHICAGO (WLS) -- A dog taken from a West Loop apartment is back home Wednesday evening. 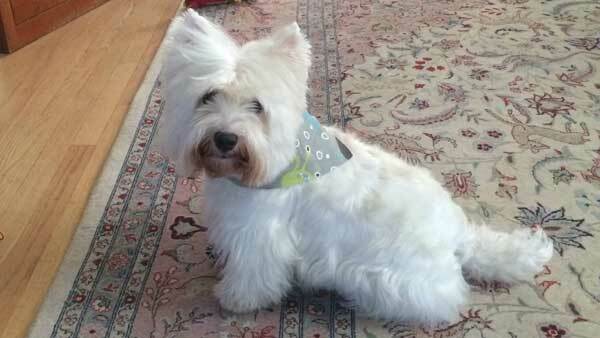 Barnaby, a West Highland White Terrier, was taken from an apartment last week when his owner was not home. Surveillance video footage shows a man walking through the building's garage with a white dog under his arm and then getting into a car. 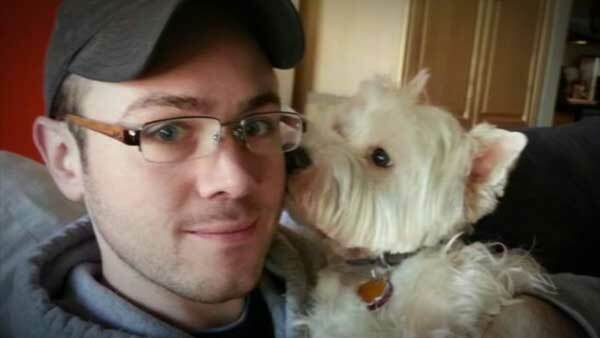 A dog owner in Chicago's West Loop is offering a $5,000 reward for information leading to the safe return of his West Highland White Terrier, Barnaby. On Wednesday, owner Adam Johnston said he got a call that his dog was dropped off at PAWS - the animal shelter on Clybourn on the North Side. "I don't know how you describe that feeling but it was one of the best feelings of my life," Johnston said. "It's over, thank God."